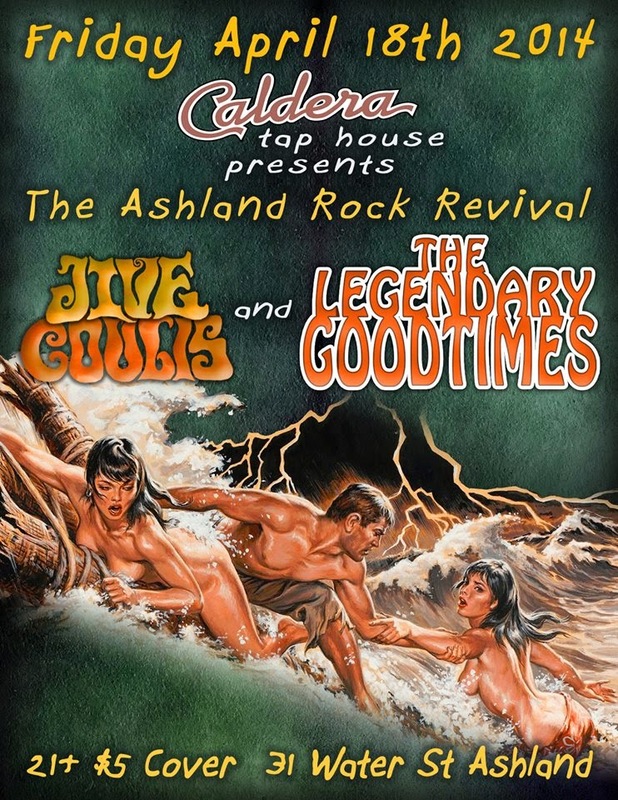 The Legendary Goodtimes: bringin' the good times @ Caldera Tap House in Ashland. 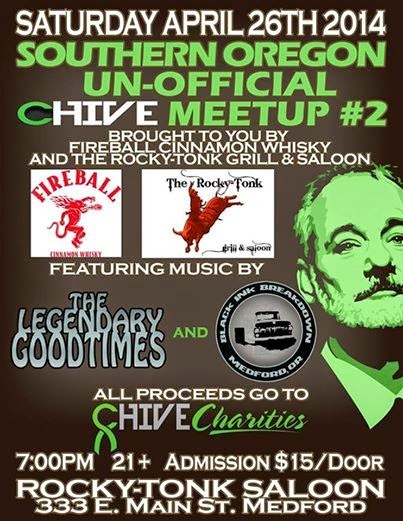 Mix (2) Southern Oregon original rock bands with (1) well attended pub serving local brews. Slowly stir in a dozen pretty dancing girls, (1) local saxophone wizard, and a dash of shady parking lot shenanigans. Shake vigorously. Serve steaming hot, with a side of awesome sauce. Yes, Caldera Tap House in Ashland was jumping last Friday night. 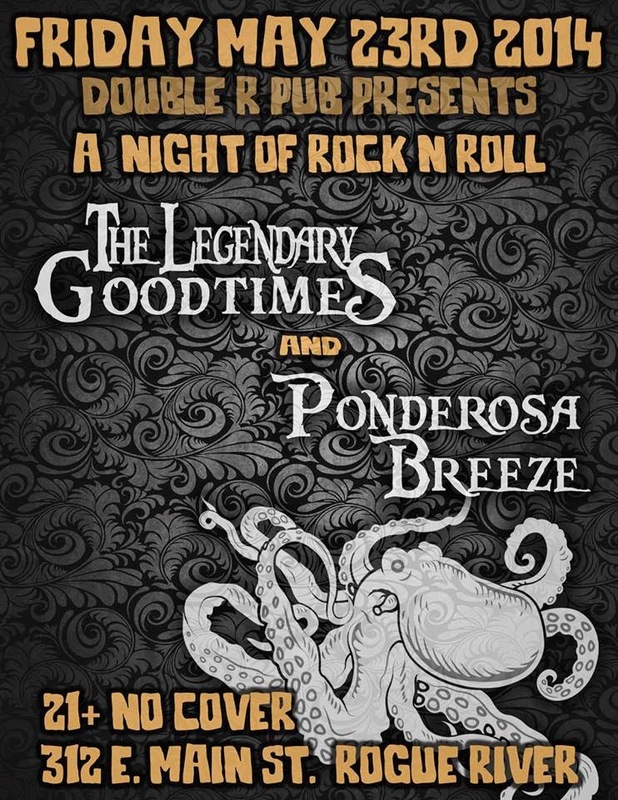 The Goodtimes are always thrilled to quaff Caldera's legendary brewskis whilst rockin' the tap house stage. ... (3) and Matty J pulling off a laid back rock pose when he's not glued to the microphone. All standard Goodtimes procedure, as laid out in The Legendary Goodtimes Rock 'n Roll Handbook (2014 Edition), available wherever fine books aren't sold. TLG was privileged to see so many familiar and new faces. Some expressed the joy of music through interpretive crunking, while some just danced, bobbed heads, or chilled in the back, soaking up the vibes. 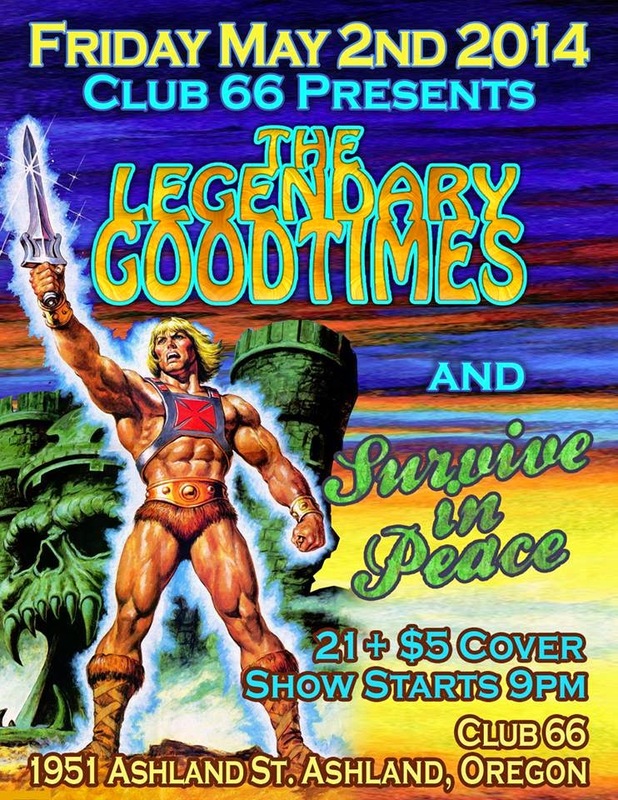 The Legendary Goodtimes will now go on record saying they love ALL of your faces, and are grateful for your energy and sweet dance moves. Dave getting busy with the lap steel. The Goodtimes were feelin' a frisky at those fun-filled Friday festivities. The slide guitar came out to play. Dave and Matt took a seat on the stage and proceeded to play a ripping version of "Wicked Way" from their first album, a song the band only occasionally plays live. The Great Rock Spirits nodded in approval, and all was groovy. Jive Coulis w/ special guest Brian Risling! 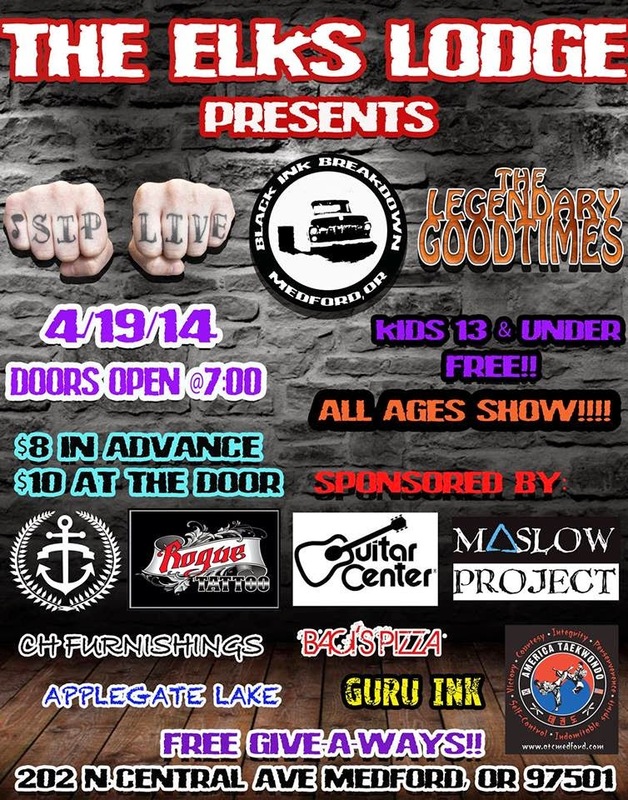 After 80 minutes of mostly new, unreleased music, TLG played a final encore: a heavy rendition of "Another One Bites the Dust" by Queen. The band then stepped aside to make way for Southern Oregon's very own Rock n' Roll Wooly Mammoth, the one and only JIVE COULIS! The boys were joined for part of their set by the incomparable Brian Risling, sax player of the Low O's own Brian Risling & Airtight Alibi. Wow. Mega awesome set from Jive. 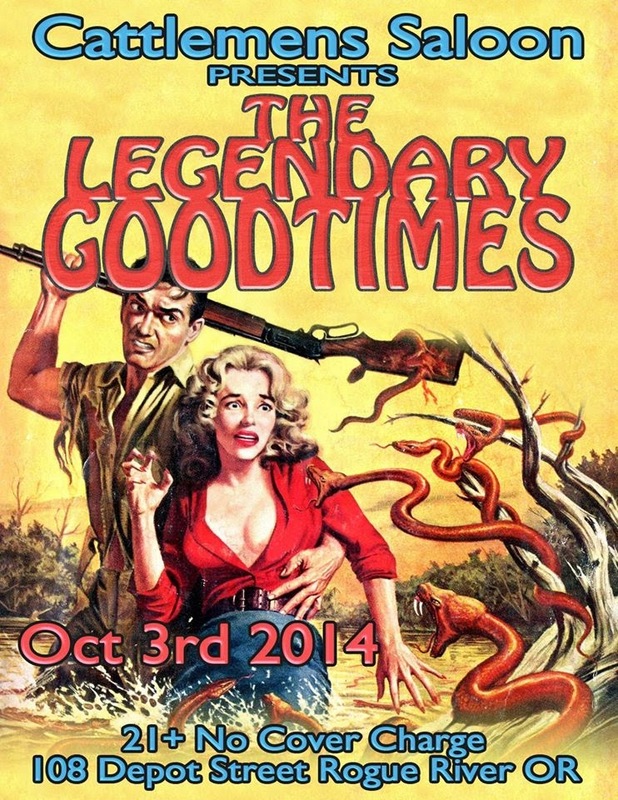 Random TLG factoid: The Goodtimes first ever gig was Jive Coulis' CD release party for their second album, Sauce.